This is the final post in a series on my study of Ephesians. As I said at the beginning, this is a study that I could repeat with any epistle in the NT. After I felt a lot more comfortable with the general drift of the book of Ephesians, I went through paragraph by paragraph for the most part and answered the COMA questions for each one. (COMA stands for Context, Observation, Meaning, and Application.) You can download these questions here. I used some commentaries and such, but I tried to study through it on my own first. The COMA questions really helped me see how Ephesians would affect my everyday life because at the end of the questions there are several specific application questions that I had to think through and answer. How can I use this passage to point others to Jesus? How does this passage challenge (or confirm) my understanding? What attitude/action needs to be changed in my life? Under what specific circumstances would I turn to the truth of this passage? 1. Read through the entire book in one sitting. Do this three times. 2. Read Acts 19, Paul’s time spent in Ephesus. 3. Answer COMA questions for the entire book on the fourth time through. 6. Read through Ephesians again and circle all the references to Christ in red. 7. Make a list of what Christ does, who He is, what He hates, what He loves, etc. 8. 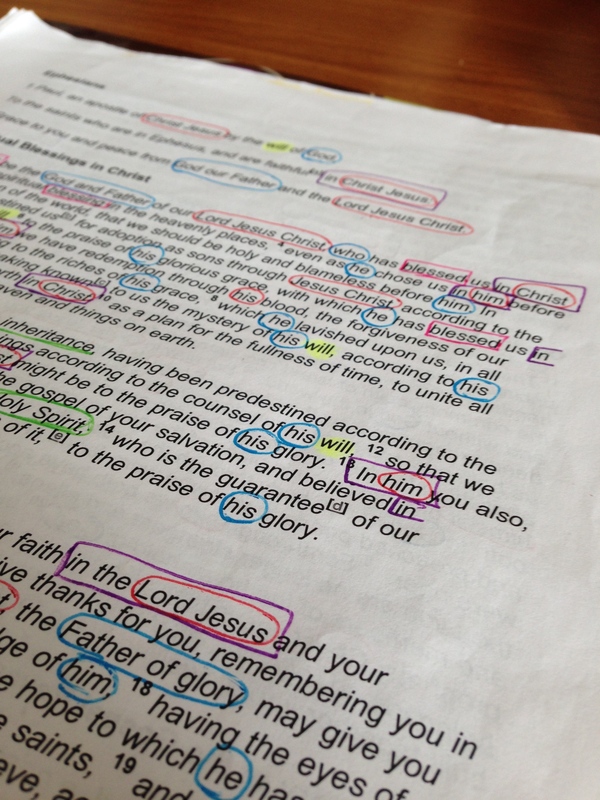 Read through Ephesians again and circle all references to the Holy Spirit in green. 9. Make a list of what the Holy Spirit does, who He is, etc. 10. Read through Ephesians again and circle all references to God the Father in blue. 11. Make a list of what God the Father does, who He is, etc. 12. Answer the COMA questions for each passage as you study through the whole book. This was a stretching and growing experience for me, but a very good one. I am so thankful to God for His Word and it was so exciting to be able to study deeper than I usually do! I hope that there is something here that will enhance your own study! What would you add? This is the third post in a series on studying Ephesians. I spent the most time in the last two areas of study. This was where I tried to dig in and pay attention to small details while keeping the overall theme and context in mind. I answered the COMA questions for the entire book on my fourth time reading through the book of Ephesians (the COMA questions have been adapted from a book everyone should read, One to One Bible Reading). If you would like to download a PDF of these questions, click here. Somewhere in here I also listened to the audio version of Ephesians that can be found at biblegateway.com. I listened to it in a couple of different versions. I then read through the book again and circled all the references to Christ in a red pen. I then made a list about Christ (who He is, what He does, anything I could learn about Him). This was a pretty slow process for me, but very encouraging. I did the same type of list with the Holy Spirit (with a green circle), and with God the Father (a blue circle). I liked color coding the text because I was able to spot things at a glance. It shouldn’t have surprised me how many times God was mentioned, but it did. This helped me gain perspective on the book of Ephesians being about God first and foremost, not me. To find out a little more about the background of Ephesians, I read through Acts 19, which tells about Paul’s time spent in Ephesus. It is a helpful exercise because I could see not only that Paul faced while he was there, but also what the Ephesian people would be experiencing and a little of their culture. I was able to understand a little bit better about the readers of the book of Ephesians and how they might have read and understood what Paul was saying to them. “Ephesus Celsus Library Façade” by Benh LIEU SONG – Own work. Licensed under CC BY-SA 3.0 via Wikimedia Commons. For the first post, we will look at the first area of study: what is Ephesians about? Too often, I take verses or passages and use them without truly understanding the context. It’s funny how when I read the whole book of Ephesians in its entirety it made a lot more sense to me! So, as I started out, I read through the entire book of Ephesians in one sitting. I did this three times to start to get a feel of Paul’s flow of thought. Reading through or listening to the book of Ephesians really only takes about 20 minutes or less and it is definitely worth it. From biblegateway.com, I copied the book of Ephesians into a document and then printed it out so that I could mark it up. This is the fifth week of the series: Unrolling the Scroll. See the introduction, first session, second session, third session. and fourth session. What I seek to do in this post is to give you a simple way of working through any passage of Scripture and coming out on the other side with a greater love for Christ and some viable applications to your life. If we truly believe that God’s Word is structured, that it tells a unified story centered on Christ, and is progressive in nature, then we should want to read the whole of the Scriptures responsibly. Big Idea: God has given structured Scriptures in order to tell a unified story, revolving around Christ, and understood through appropriate reading. In this way, God has enabled me to rightly know Him, my fellow man, and my place within this story. 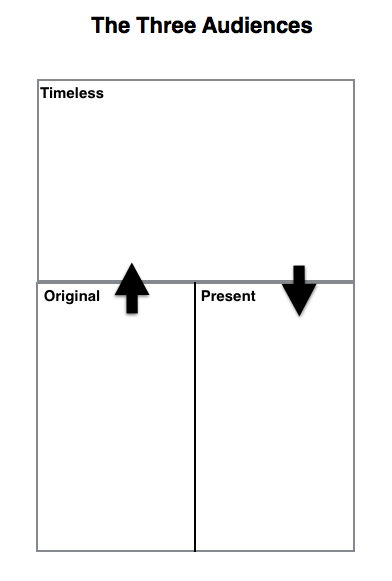 The flow of movement indicated by the arrows is from the “Original” audience to the “Timeless” audience and then to the “Present” audience. The danger of moving from the Original to the Present audience directly is pretty evident if you have ever read in Leviticus or Judges for your morning devotions. Believe me, you don’t want to go there. It would be like reading a love letter written to someone else as though it were written to me. If I start reading in the middle of it and take it as directly for me there are several emotions that could arise. I could feel warm and sappy because I have always wanted someone to love me like this. I could feel disgusted and sick because it is gross. I could feel angry, or indifferent, or perplexed. But it all would be misinformed. I have to run it through a grid of interpretation first. For this reason we look at what the original audience was meant to understand. After that we can better see the timeless truths embedded in the passage. And only then can we make the proper Christ-centered application. Here are questions that help us understand each of these Audiences. I have inserted the COMA questions from One to One Bible Reading in here to show how the flow works. If you would like to hear this in action, you can listen here to two short passage being explained, Ps 84 (minute 8) and Numbers 3 (minute 27). Bargerhuff, Eric J. The Most Misused Verses in the Bible: Surprising Ways God’s Word Is Misunderstood. Minneapolis: Bethany House, 2012. Carson, D. A. Exegetical Fallacies. Baker, 1996. Fee, Gordon D, and Douglas K Stuart. How to Read the Bible for All Its Worth. Grand Rapids: Zondervan, 2003. Patton, C Michael. “How to Study the Bible in a Nutshell.” Parchment and Pen. Rogers, Matt. “7 Arrows for Bible Reading.” Trevin Wax. This is the fourth week of the series: Unrolling the Scroll. See the introduction, first session, second session, and third session. We have seen that the Scriptures are unified, both in structure and in story, around Jesus Christ. But how do I begin to see that? This is the topic we will be looking at this post. My goal is that you will be better able to look at the Scriptures, see the unifying story around Christ, and then see why you ought to locate the specific story within the broader scope of Scripture (find the tree in the midst of the forest). The result would be that you could better see, understand, interpret, and explain the overarching story of Scriptures in light of Christ. Big Idea: God has given structured Scriptures in order to tell a unified story, revolving around Christ, and understood through appropriate reading. We will be using Psalm 13 as a practice board. Knowing that the Scriptures are inspired, how does that influence the way I read the Psalm? Well, because this is inspired I know that this isn’t just another poem on a piece of scratch paper. God wanted us to hear it. I have to deal with what it says. It is important. Back to Ps 13. This Psalm reflects a worshipper of God trying to survive in a fallen world. He is part of God’s chosen people to be a light to the world. We also need to recognize that the Scriptures are structured. Therefore you are reading somewhere in that structure. The Psalms are part of the Covenant Life portion of the structure. This makes sense because we can see that the Psalmist was trying to live a life of faith based on the revelation given to him up to that point. But it was hard. Maybe you have been there before, maybe not. Have you ever felt as though the LORD had forgotten you or hid his face? Did you ever feel as though it were too hard to continue on? You may have known what God expected of you, but living that out was way too hard! Your days could have been categorized as “sorrowful.” Maybe you have desperately waited for the LORD to make his appearance. Another note to consider is this author writing before of after Christ? Are the original hearers waiting for the first coming of the Messiah, or following his commands and waiting his second coming? That will drastically change the way we read the Scriptures. Also, what revelation had been given to them up to this point? With the progress of time, more revelation was given. Abraham had more revelation than Noah, Moses had more than Abraham. By the time we get to John, Paul, and Peter, they have much more revelation than those before them. This helps us to sort out some of those “contradictions” that PBS loves to bring up every year around Christmas and Easter. “How could parts of the Bible say that there is no clear future for the dead (Ecclesiastes) and others say that there is (NT Epistles)?” Progressive revelation. We often view Scripture in a flat way, as if the whole canon was dropped from the sky at the same time. It is not like one of those inflatable children’s play place. Instead we should think of it more like an archaeological tell where we locate an object in its corresponding layer of strata. If we don’t put the object in the right level it will be a complete mystery. 3. Recognize who you are reading about. This is primarily a story about Christ. That means in order to best apply it to our lives, we have to see how it connects to Him. Again in Psalm 13 – as man, Jesus understands what the Psalmist feels. As God, Jesus is the one who calls believers to share these feelings with him. Why can we pray as the Psalmist? Because Jesus has been there. He understands, and he can do something about it. There is popular, and not all together wrong, view of Scripture.You may have heard of the Bible as “God’s Love Letter to you.” Is that completely wrong? No. The Bible is ultimately about God’s glory magnified by his creation through his redemptive plan. Is that loving? Absolutely. However, is that designation completely right? Well, I would say it can be misleading. Is the Bible ultimately about us? No. It can’t be. It has to be about someone greater than us. If the universe exists for God’s glory, wouldn’t that mean something about the Scriptures explaining the universe to us? Do we play the leading role in the narrative? No. Our role is actually that of the betrayer, the usurper, the miscreant. One of my favorite series is C. S. Lewis’ Chronicles of Narnia. What are the Chronicles of Narnia about? Are they about four siblings? They appear in the story, but not all the stories. Is it about the kingdom of Narnia? It is important, but not the center. It is Aslan who appears in every story. He is the one who shows up and makes things right. The story is ultimately about him. When you are reading a novel or watching a movie, generally you associate yourself with the protagonist. Books and movies are a way to live out an adventure through someone else without actually putting your neck on the line. When I read Scripture I have to understand who is the protagonist – Christ. Then I associate myself with him, not by taking his spot, but by seeing myself as “in Him” (the NT references to being “in Christ”). In reference to Narnia, I am Edmond the betrayer. I am Eustice the vain. I am Puddleglum the depressed. I am not the protagonist. I desperately need the Lion as my substitute, my sanctifier, my rescuer. Ps 13 – this Psalm is Ancient Near Eastern poetry. The author has limited revelation but is one of God’s chosen people. I am a white male of the millennial generation who has grown up with computers, air travel and toothpaste. We are different. However, if I recognize that I am reading with a particular slant, it helps me be more objective. I can never read anything with preconceived ideas, but I can recognize what they are are compensate for them. Chapell, Bryan. “What Is the Progressive Principle in Biblical Theology?” BiblicalTraining.org. Ortlund, Dane. “Transform Your Bible Reading.” Theresurgence.com. This is the third week of the series: Unrolling the Scroll. See the introduction, the first session, and the second session. Last week we imagined a friend asks you, “Can you explain the big story of the Bible in a few sentences?” How would you answer them? Our answer was four words, Creation, Rebellion, Redemption, and Restoration. Now imagine that the same friend asked, “So how does Jesus fit into that?” What would you say? My hope is that this post will help you to be able to look at the Scriptures, see the unifying story, and then explain how Christ is the hero of the story. If we look at the Big Story of Scripture we see that Jesus is the one who created (John 1; Col 1), was promised (Gen 3:15; Isa 53), redeemed (Rom 3:23-24), and will rule (Rev 20). He is the center of all the stories and the Big Story. Without Jesus there is no story. Let’s break it down a little more: Who are the Scriptures about? Revelation predicts how he will change the future as he once again dwells on earth. 2. What we often forget is that the OT is about Christ as well. These are just a few specific references from the NT. We are not going to take time to look at all the prophecies, allusions, types, etc. found throughout the NT pointing to this same fact. How are the Scriptures about Christ? Apart from Christ, both the Old and the New Testaments are devoid of saving and transformational power. Now, you may be asking, “What about the OT readers? Did they see Christ in everything they were reading before he came?” That is a fair question. We do not want to read something into the text. Here is how I understand it. Imagine that you are looking at a flashlight head on. 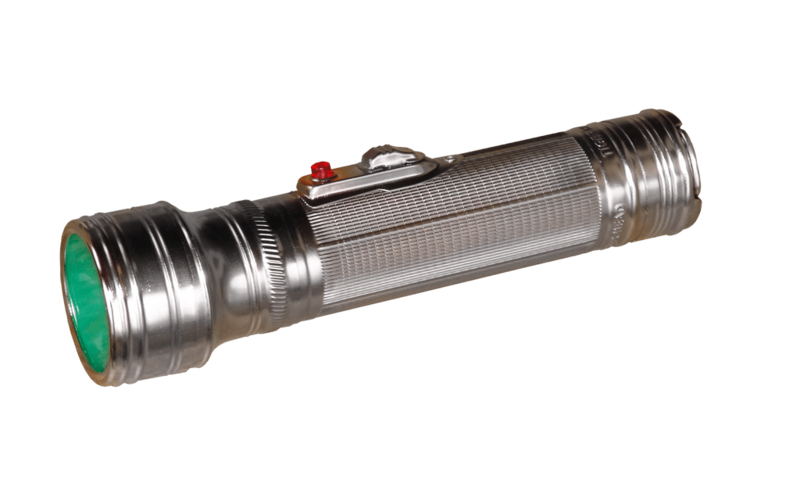 When someone is shining the flashlight into your eyes you can’t tell me much about the flashlight itself, but you know it is there. 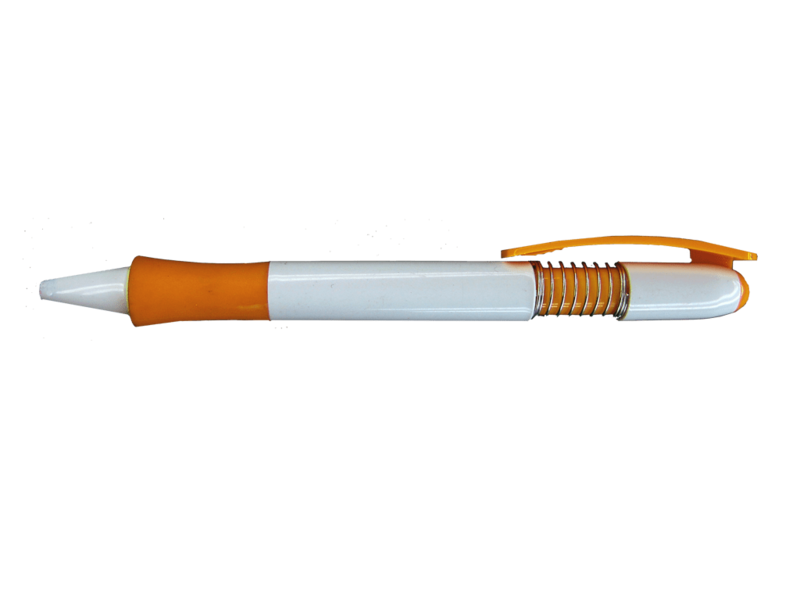 However, if you are looking from the backside of the flashlight, you see the flashlight and what it is illuminating. In the same way when we read the Scriptures from a post-cross perspective, we see the themes of Christ and his redemptive action running through God’s Word. Before the cross they only saw the light, but it was not easily discerned in most instances. After the Cross it is clear. 1. If I read Scripture without being pointed to Christ, I have missed God’s purpose for that passage. Humility – we are not the hero of the story. We need the Hero! Reading – I am going to deliberately read the OT. Studying – I am going to think through the OT. Testifying – I can be confident about sharing Christ with others because he is the hero of the story. Worshipping – I will respond in worship to the incredible plan of God from eternity past. Dever, Mark. The Message of the New Testament: Promises Kept. Crossway, 2005. ———. The Message of the Old Testament: Promises Made. Crossway, 2006. Lloyd-Jones, Sally. The Jesus Storybook Bible: Every Story Whispers His Name. ZonderKidz, 2007. This is the second week of the series: Unrolling the Scroll. See the introduction, and the first session. If a friend were to ask you, “Can you explain the big story of the Bible in a few sentences?” How would you answer them? You could probably break down the story of the 3 little pigs, or the plot line of a familiar movie, but the Bible? Is that even possible? There are just too many stories and plots and characters and…genealogies! Recognizing this overarching story is also the best way to understand the smaller episodes, characters, and yes, genealogies. We see the organic unfolding of God’s revelation by tying it all to the big story. When we understand the thread running through the biblical revelation we see that God has a plan and every story is connected to it somehow. Think of it as a tow rope. 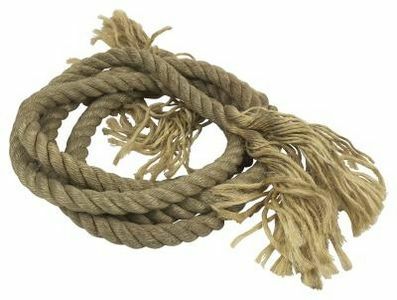 A rope is made up of many strands. Each strand is made up of numerous threads. Each thread is made up of various fibers. But although there are a variety of individual pieces, they are all pulling in one direction. These four main acts of the overarching story are like knots in the rope. God chose us before CREATION (Eph 1:4), and then redeemed and forgave us (Eph 1:7) after our REBELLION, lavishing grace [REDEMPTION] (Eph 1:7-8) by bringing us back, in order to set forth Christ (Eph 1:9-10) “as the supreme Ruler of the universe” (BTOT). 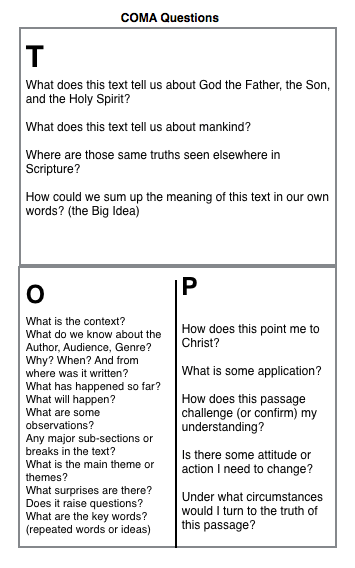 Remember our structure of Scripture from last week? This is why we needed to see the structure. It points us to the fact that God began something (Gen 1) and will complete it (Rev 22)! This cycle is not only seen in the “rope” of Scripture, but also in the threads. He promises that one day we will be practically what we are positionally – holy. This consistent cycle points us to the fact that God has a plan and is working it out, despite our best efforts at “fixing it”! Don’t lose the main story in the subplots. Instead, follow those small stories to their place in the big story and marvel in God’s incredible plan. Helm, David R, and Gail Schoonmaker. The Big Picture Story Bible. Wheaton: Crossway, 2010. Carson, D. A. The God Who Is There: Finding Your Place in God’s Story. Baker Books, 2010. This is the first week of the series: Unrolling the Scroll. See the introduction here. Sometimes we view the biblical stories like those junk drawers in our homes. They contain things you don’t want to throw away, and some things you use regularly, but the only unifying factor for the drawer is that everything just needed a place to be put! Each item may be touching but they are not really connected. This is not the right way to view our Bibles. The Bible has a variety of human authors, genres, and episodes, all unified by a single Divine author and Story. 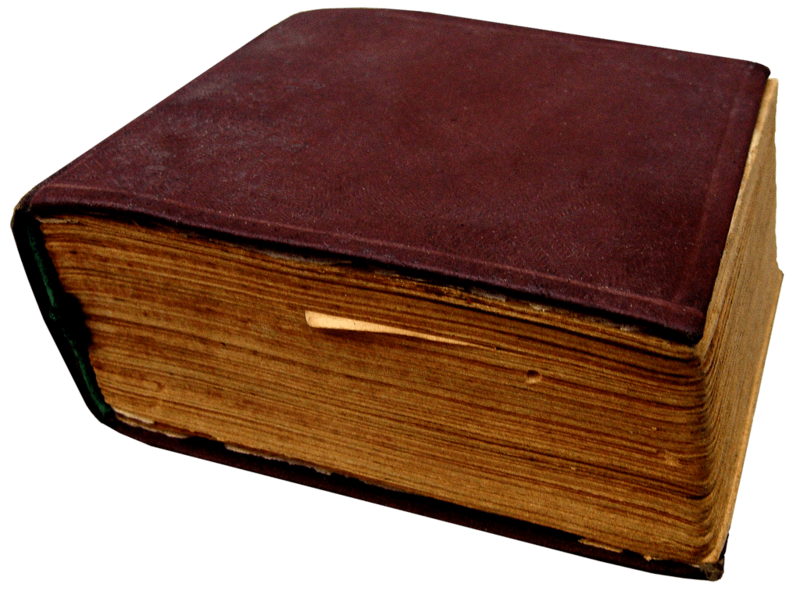 The books of the Bible are not merely unified by the leather cover, but by God himself. Yes, there is a unity even between the Old Testament and the New Testament. Here is the Big Idea: God has given us structured Scriptures. Do you think that the Bible is unified? Should we keep all of it or part of it? Do you believe that there is a main point of the Bible that everything is pointing to? How do you align priestly underwear in Leviticus with multicolored horses in Revelation? How can one book have rules about unclean food and then statements about all food being acceptable? To answer these questions we need to start with a firm foundation. Authoritative (I need to obey): Therefore, I am not a master over the text, but a servant to the text. This is a huge difference from what people often think. We can see the structure in the way we have our Bibles arranged in front of us. The first book of the Bible, Genesis, begins with creation (ch 1), institution of marriage (ch 2), and the entrance of Satan and his deception (ch 3). The final book of the Bible, Revelation, addresses these in reverse order. We have the punishment of Satan (ch 20), the Marriage of Christ and his Bride (ch 21), and the New Creation (ch 21-22). God has a plan and is working it out. He will not leave undone any part of that plan. So, we have Genesis and Revelation acting as bookends to God’s work in His creation. In one sense, Genesis is the Prologue and Revelation is the Epilogue. In the way our current Bibles are structured, we have Law, History, Poetry, Prophets. We classify our English Bibles by genre, chronology (see Ruth), and authorship (see Lamentations, works of Solomon). This does not mean that our Bibles are wrong, or deceptive. It merely means that we have a harder time seeing the unity that is there. We see another instance of how Jesus saw the unity of Scriptures in Luke 11:49-51. Jesus states, “from Abel to Zechariah.” Abel was killed in Genesis, Zechariah was killed in 2 Chronicles 24. Why did he choose those two? Because they were from the first and last books of the Scriptures, showing their rejection of God’s prophets was consistent. Most of what you have read, and the following charts, are taken from Dr. Miles Van Pelt’ lectures. I highly recommend you listen to them. I have found them very challenging. So what? God has given structured Scriptures. What difference should that make? When we think of God’s revelation to us in Scripture we need to recognize that the Bible has a variety of human authors, genres, and episodes, all unified by a single Divine author and Story. We need to read the Bible, not picking and choosing pieces to keep and pieces to get rid of it. As we read, we must understand where we are reading in order to properly understand it, and properly apply it. We need to read our Bibles. God wants you to know him! People have conflicting views of the Bible. Some view it as a dictionary for their theological arguments. Others see it as a self help book, or a book of rules, or maybe a novel. Which way do you view our Bible?